Have you flown RC helicopters before? 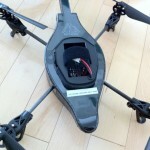 What about a quadricopter that’s controlled–via your iPhone? 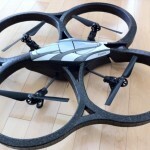 You might have heard about Parrot’s AR.Drone during its preview from CES 2010. iPhoneinCanada.ca got our hands on one from Parrot for a review. 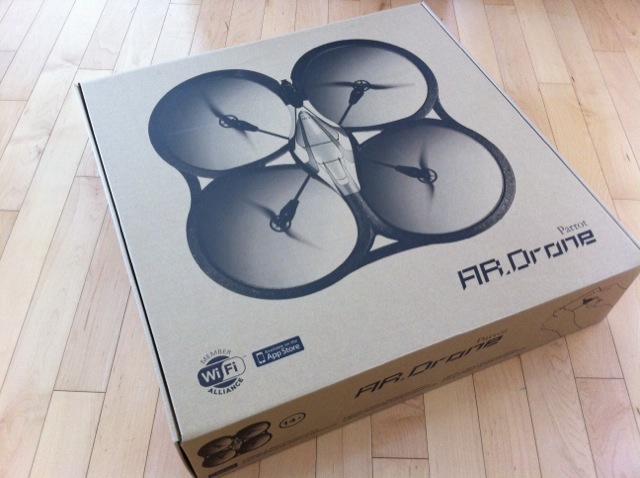 The AR.Drone can be pre-ordered from Best Buy for $349.99. Is it worth the price? 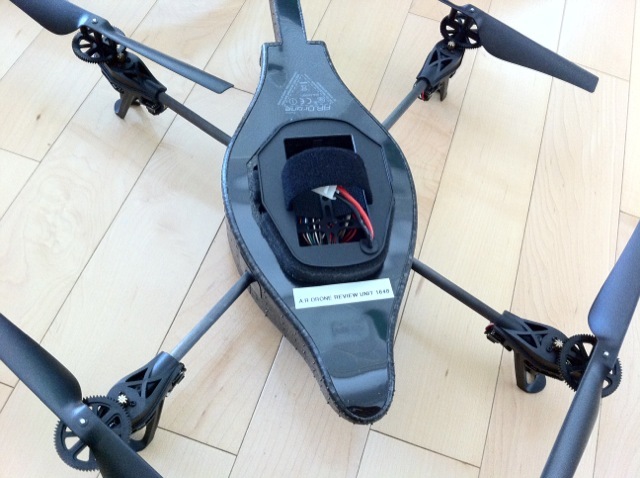 Let’s find out as we take one of the first looks at the AR.Drone in Canada. 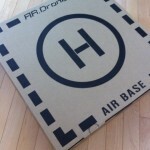 The first thing I did was download the AR.Drone app, Free Flight to my iPhone 4. Next, I connected the battery to AR.Drone (after waiting 1.5 hours for a charge). From there, I went to my WiFi settings and connected to the AR.Drone’s built in WiFi. Upon launching the app, I was asked if I wanted to update the latest firmware. Sure, why not? 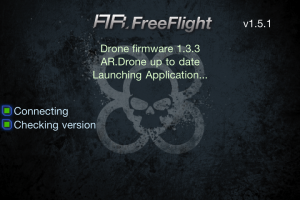 So immediately an update was downloaded over the air and installed straight to the AR.Drone. Cool. Okay, so now I’m about ready to fly, right? 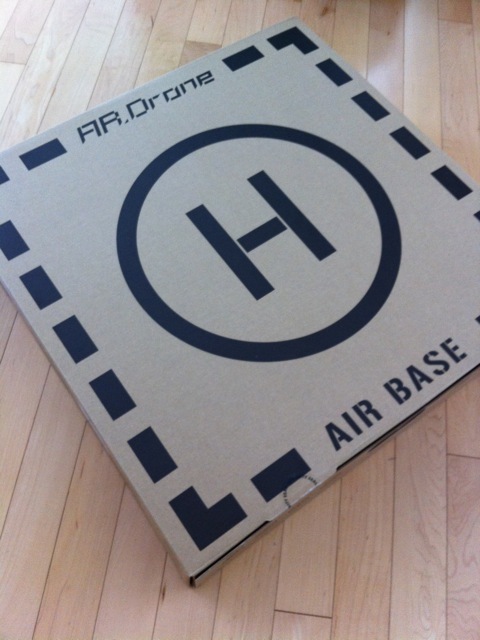 I first tested the AR.Drone indoors with the styrofoam shell on. Being able to see the camera’s video on my iPhone was pretty awesome. With one tap of an icon, the quadricopter hovered in one spot in free flight. I would highly recommend finding a large room if you’re flying it indoors, not a condo! 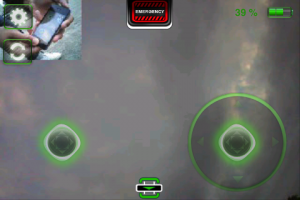 By tapping and holding down on the left control, you can then navigate the drone via the iPhone’s accelerometer. By moving and rotating your iPhone, you can fly the Drone left, right, backwards, and forwards. To hover up and down, you just tap the control on the right. To further test my experience with the drone, I took it to a nearby park the next day. Here, I was able to further test out the controls. Upon the first flight outdoors near a playground, kids came running up to the AR.Drone and started shouting “UFO! UFO!”. Since the protective outdoor shell hides the blades from flight, it definitely looks weird seeing this thing craft hovering all over the place. Flying in a field resulted in a much better experience with the AR.Drone. I was able to fly the quadricopter back and forth and up and down via my iPhone, although the controls did take some time to get used to. When angling my iPhone away from me, the Drone would fly towards me and vice versa. This lead to some crashes early on! 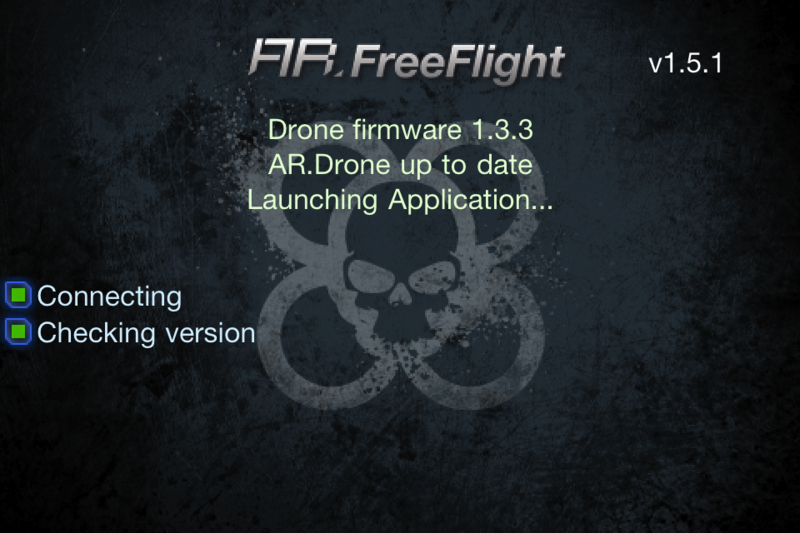 There are a variety of settings for you to change on the Drone right from your iPhone, within the Free Flight app. A default setting that is handy for flying outdoors is the ceiling limit, which restricts how high the Drone can fly. 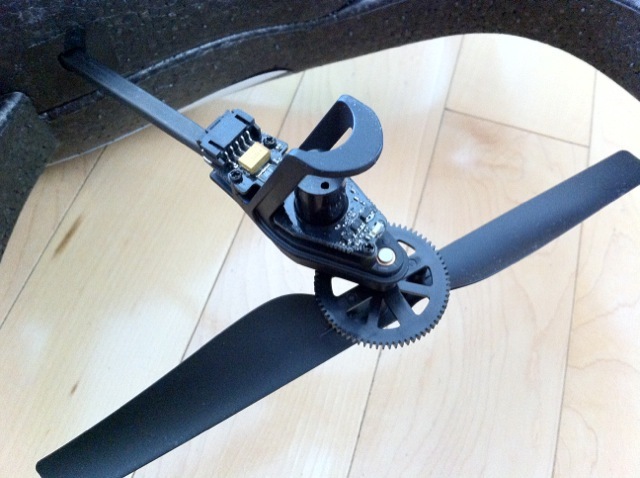 A special note to those that want to fly your AR.Drone on windy days–don’t do it! I almost lost this test unit as the wind took it away, almost 8 stories high. I was still able to tap the “emergency” command and watch the unit free fall back down from the sky–without exploding. 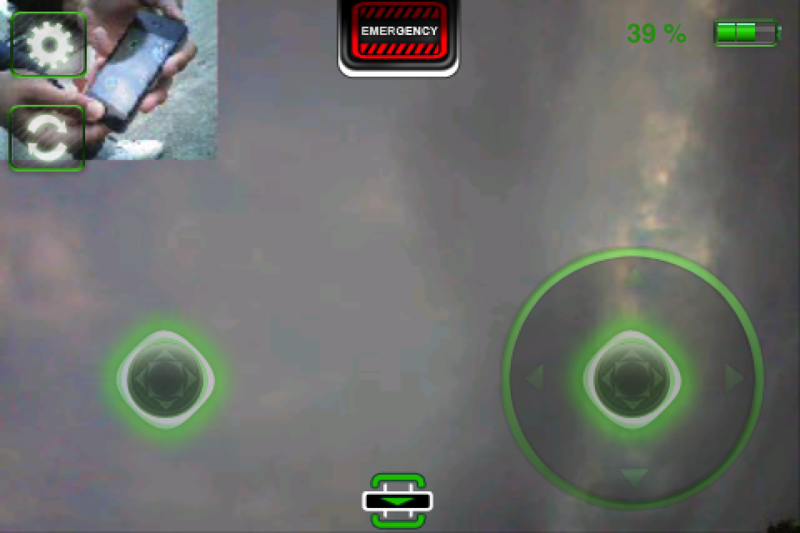 So that right there, tested the build quality of the AR.Drone. 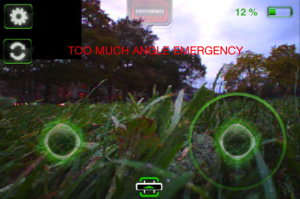 The cool thing about the AR.Drone is that it stabilizes itself if you let go of the controls. So if you are about to lose control or crash, just let go and the unit will just hover in place. It’s essentially auto pilot, which is a really nice feature for those new to flying. Flight times with the Drone lasted about 12 minutes, and after that you’ll need to recharge the battery (which takes over an hour). So the fun is short lived, but you can always order extra batteries. There is a battery meter right within the Free Flight app, and you will get warnings when you reach low battery levels. It wasn’t all fun and games with the AR.Drone though. I did have some issues with the unit getting it flying again. The message “Angle Emergency” kept appearing on my screen and I could not get the unit flying again. It turns out this will display if you do not reset the unit after a crash. Also, you need to plug in the battery while the unit is resting on a flat surface as I was told. Even when the unit did not crash I ran into this issue. It was pretty frustrating having to constantly power off/on the unit and restart the iPhone app to fly again. 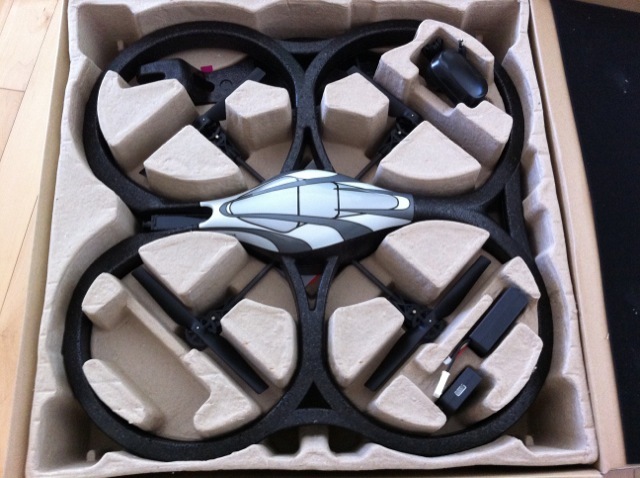 About the build quality of the outdoor styrofoam shell–it’s light but not that strong. My unit unfortunately had a run in with a baseball diamond’s fence and one corner of the shell snapped. The outer shell stays in place with the main body via a magnet–so you do need to use precaution when flying the AR.Drone. 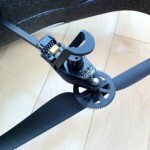 The motors and blades are supported by strong carbon fibre limbs, which are in fact really sturdy. There are replacement parts available from Parrot should you damage your unit, plus they have an extensive library of repair videos to help you out. 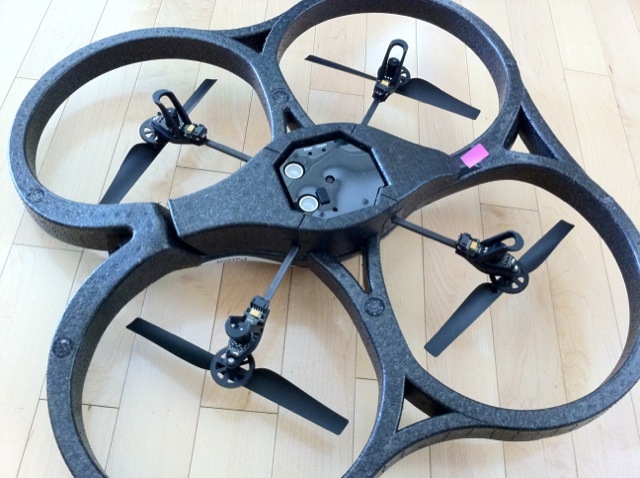 Is the AR.Drone Worth the Price Tag? Ahh, the big question you’ve been waiting for. 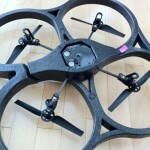 The AR.Drone is a cool, fun flying quadricopter that you can control with any iDevice you own. There are dual cameras that you can see right on your iPhone, but the majority of the time I concentrated on flying the AR.Drone, not the cameras displayed. It will turn a lot of heads. The build quality of the unit is decent. 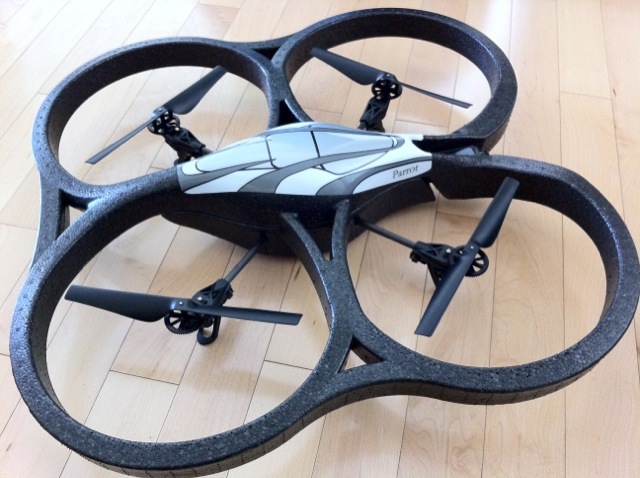 It’s light, but that can also lead to the Drone being easily damaged if you’re not careful. I was able to damage the shell with a light crash, and the blades and motors can break if you’re flying in tight quarters. 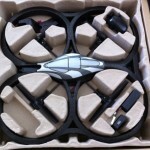 The AR.Drone is an innovative flying machine that employs some great tech inside to get it working with your iPhone. Parrot has done an amazing job of marketing and offering support for this RC quadricopter.ï»¿The AR.Drone will be available from Best Buy in Canada (on Nov.1) for a price of $349.99.Â So after 12% HST (in BC; maybe buy this in AB? 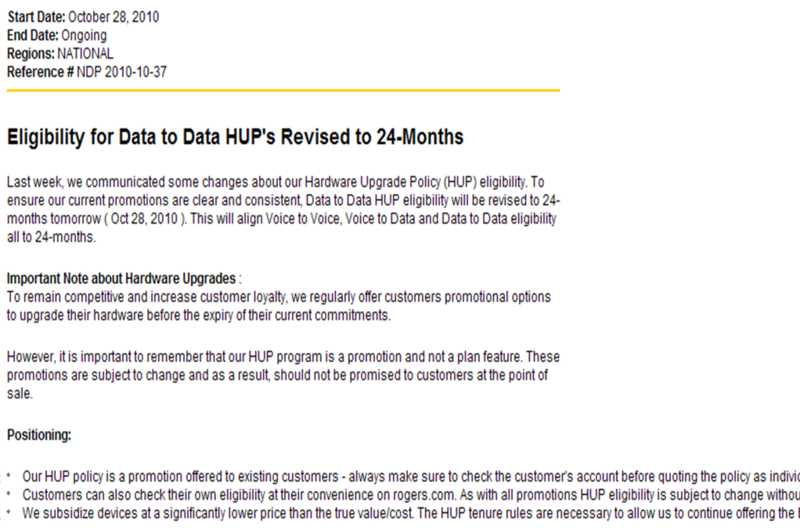 ), you’re looking at almost a $400 investment. 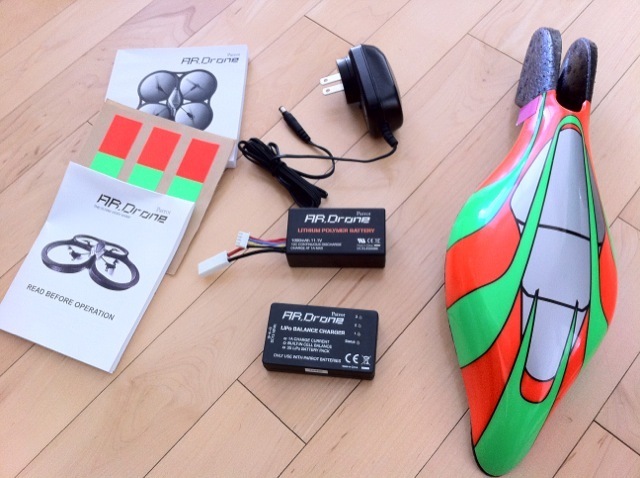 If you have the cash to spend, this might be an enjoyable RC device for you and your family. But if you’re serious about becoming a flying enthusiast, check out your local RC hobby store for comparables. You could spend that money on traditional RC flying devices for a lot less. 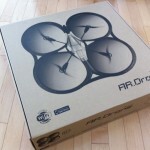 Consumers need to ask themselves if they are buying the AR.Drone because it can be controlled with their iPhone, or because it’s an innovative RC quadricopter. The decision is yours. Thanks to Jamie for sending iPhoneinCanada.ca this unit for review.